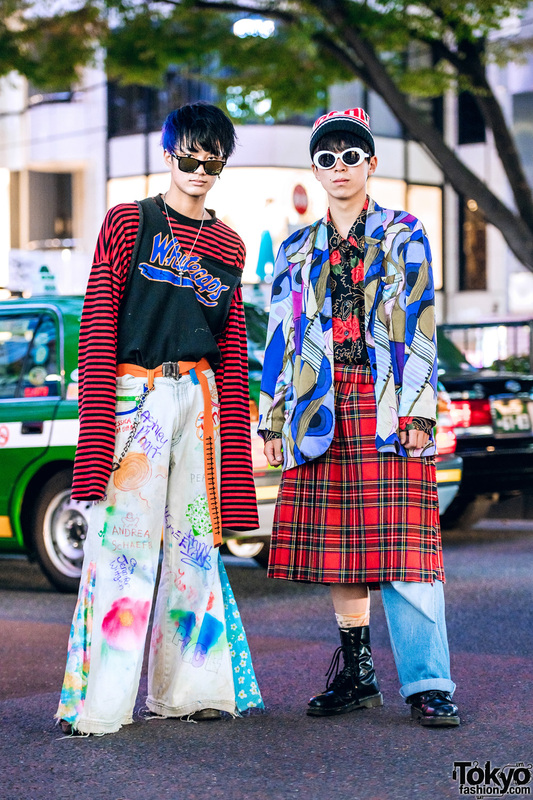 Harajuku teen sporting mixed prints street style while out and about on the street. 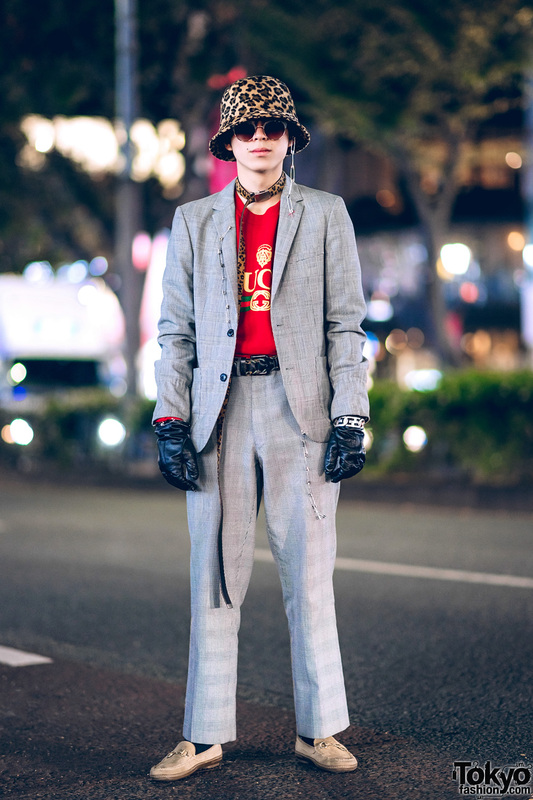 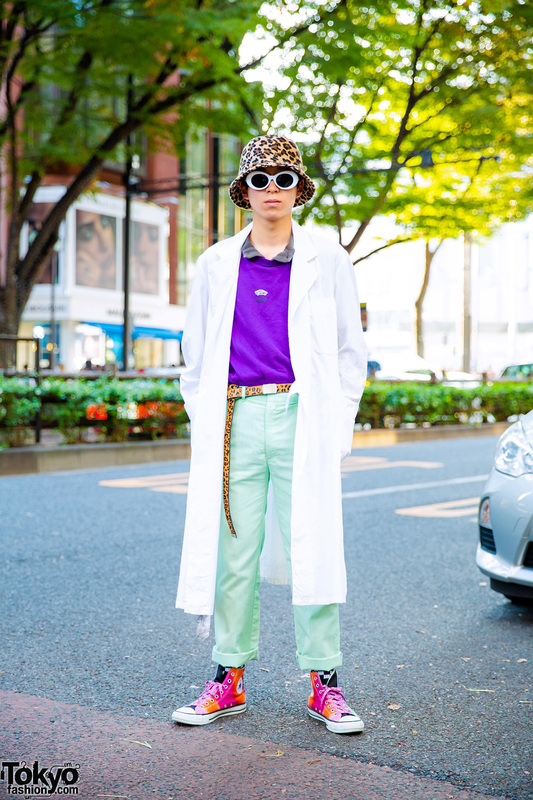 Harajuku guy wearing a leopard print bucket hat, a white coat, green pants, and multicolored sneakers. 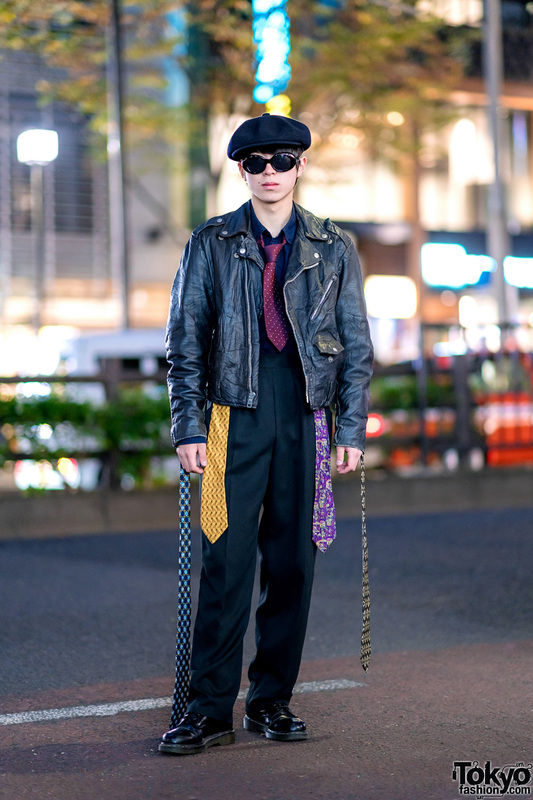 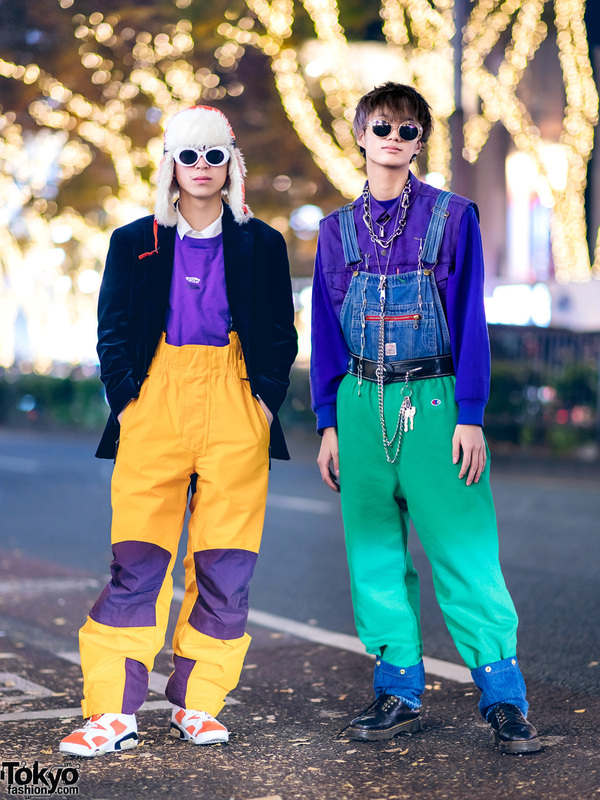 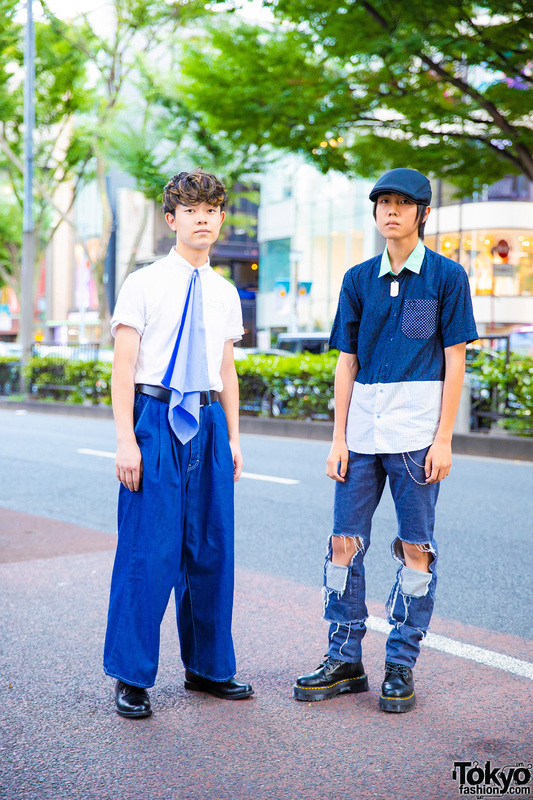 Harajuku guys in color-coordinated blue streetwear styles with scarf as necktie, wide leg jeans, mixed-prints shirt, cut out pants, and leather shoes.